Greeting card software is mainly used to create greeting cards of your own choice in simplest way to gift someone you love most. Software does not require any specialized skill to understand the working process to design customized greeting cards. Software helps users to print variety of cards in different shapes. 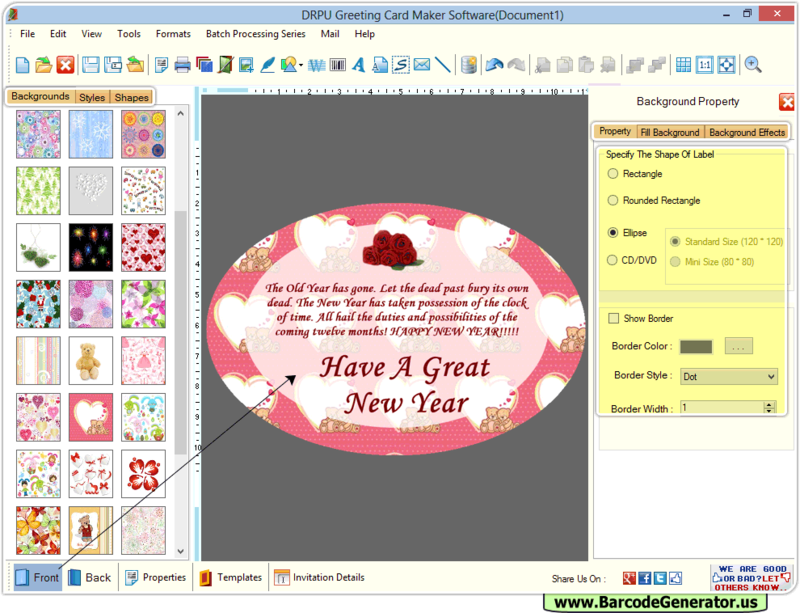 Greeting card maker software designs photo added greeting cards with the use of image designing objects including Text, Pencil, Arc, Triangle, Ellipse, Picture and Star objects. To design and print customized greeting cards with added feature including wishes, text messages, photos using inbuilt image designing tools. Create special formats greetings cards for mainly including Christmas Days, New Year, Holiday, Anniversary, Invitations, Special Occasion using greeting cards designer software. Designed Greeting Card using 'DRPU Greeting Card Maker Software'. Software provides built in help to create high resolution greeting cards in simplest way. Software provides option to create multiple copies of cards using data set series creating process. 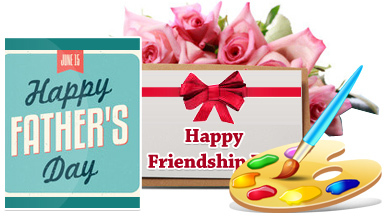 Photo, text and personal messages can be added while designing greeting cards. Easily modifiable font, color and image setting show a stylish look to greeting cards. Create and print stunning greeting cards on pc for future usage. Software provides the wide range of flexible print settings. Option to create new card and modify existing card.